‘Reframing’ is a great way to incorporate relaxation and practical wisdom into your daily life. Sometimes described as ‘cognitive reframing’ (the ‘cognitive’ part meaning the way you think), it’s a simple technique to add to your relaxation toolbox. Reframing is simply the art of teaching yourself how to look at events and feelings differently. This works well for negative and destructive thoughts such as self-blame, stress, worrying, negative self-talk and other assorted ‘nasties’ which can lead us to feeling closed, down and tense. It also helps us to think about things differently, especially when we are ‘mind reading’ other people. For example, we might receive an email asking us to complete a piece of work by a certain date, or questioning us on a piece of work we’ve already done. Often the way we respond can significantly impact our ability to both relax and get the task done. The first way of thinking is negative and can leave us feeling trapped and stressed. The second way of framing things is more flexible and points the mind towards more openness and positivity. 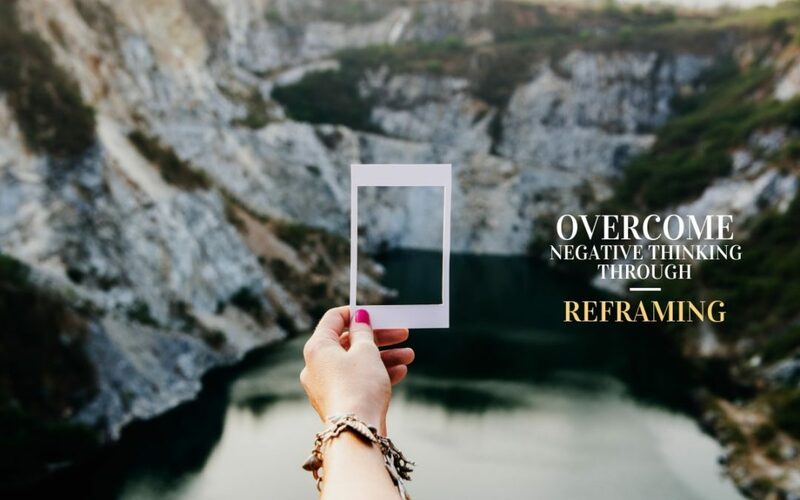 Other ways of reframing can involve the way we view ourselves in a negative light – such as something we consider to be a weakness. Or we could take that ‘weakness’ and realize what is at the heart of it. The first way of thinking involves focus on being powerless, wrong and ‘bad’ in some way. The second way of thinking involves empowering ourselves to know the positives and strengths of what we initially think are weaknesses. This allows us to spend more of our days with an open mind, rather than feeling closed, worried and anxious. Notice that the circumstances don’t really change, its really all about the attitude and mindset. Reframing can be a great initial step to achieving our lifestyle of relaxation and living a life less bound up in worry and stress. One of the most important things reframing brings about is awareness of the processes that often times make people angry, vengeful and bitter. If a person doesn’t recognize these tendencies in themselves, without really noticing, they end up becoming that which they inherently do not want to become. Combining reframing with gratitude and meditative awareness can be a great way of infusing your life with more joy, light and healthy relaxations.